Spud and I are struggling to accept the seasons end. We are going to make a run to TX in 2 weeks, but meanwhile we are checking out some spots to see how many birds are still around. He found 3 hens and a rooster on this afternoon's walkabout and this board is pretty slow at the moment so I thought I would share a photo I snapped. Looking good! Looking forward to hearing about your TX trip. He looks really good! You guys have had a great season!!! I'm right there with ya. Eleven states, over 12.000 miles and five months on the road. Me and the dog hunted in four states starting in Oregon in Sept then MT, ND, and ended up in Arizona. From minus 24 a few miles south of Saskatchewan to 87 today with Mexico only a hour walk away. Got the chance to harvest Sage grouse, Sharpy's, Huns, Roosters, Chukars and Quail. Fought muddy, flooded, drifted, roads and now the dust!! Now the long seven month wait starts. 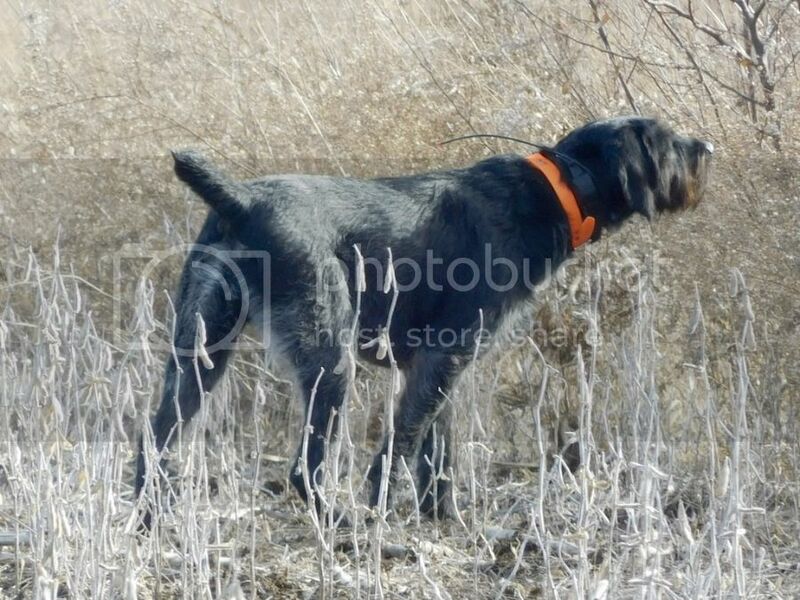 This hunting with a single dog, and upland at that. How many days do you hunt your dog in a row? How many hours per day? So AG, you decided to take me up on my offer and you're bringing Spud to me then? You should keep a journal Greg! Spud wants to hunt with his Aunt next year. TxPhez - I know where you can buy one just about like him. I have just about ruined this one, doubt you would want him now. This year we hunted over 100 days. I think the most days we hunted in a row was in Montana for pheasant where its easy [flat] around 12 days. Hours hunted per day varied from 1-6. Last year we hunted the whole month of January for chukars in Oregon and spending 6 hours at the least on the ground. She is in pretty good shape at the end of the season!!! AverageGuy wrote: You should keep a journal Greg! Spud wants to hunt with his Aunt next year. Yea a lot of people say that. I'm just not good at it. Josie would like that!!! If you guys are around Utah this spring I will be fishing the Green river in March and the Platte in April in Wyoming and there is always room in the drift boat. Checking out new areas and carrying a camera is fun. 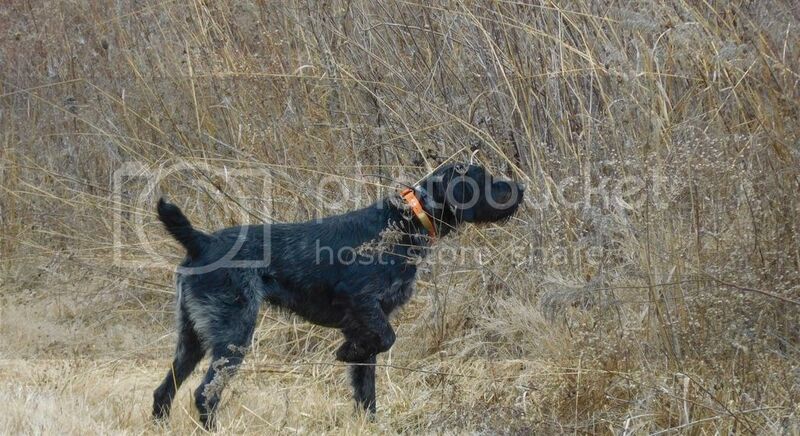 Spud had a nice find, point, track, relocate and pinned down a rooster again on yesterday's run. I enjoy watching him work. So much that I forgot to use the camera when the rooster flushed right in front of me but I did get a photo of it at a distance.